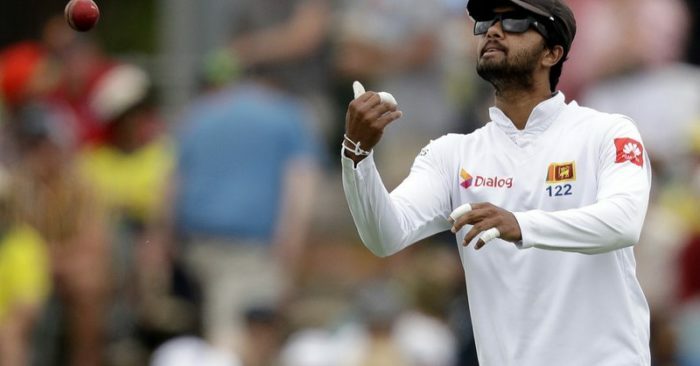 Sri Lanka has dropped captain Dinesh Chandimal from the test squad for the upcoming tour of South Africa. The selectors have asked him to play domestic games to regain his form. Sri Lanka Cricket says on Tuesday opening batsman Dimuth Karunaratne is the stand-in captain of a 17-man squad for the two-test series starting on Feb. 13. Chandimal’s omission follows scores of 5, 0, 15, and 4 in the two recent test losses against Australia. The squad includes three uncapped players: Batsman Oshada Fernando, seam bowler Mohmed Shiraz, and left-arm spinner Lasith Embuldeniya. Allrounder Milinda Siriwardana has been recalled to the test squad after nearly three years. The tests are in Durban fromn Feb. 13 and in Port Elizabeth from Feb. 21.